Please re-confirm your account to avoid blocking. It is caused someone has reported that there were irregularities of content, for violating terms of service. 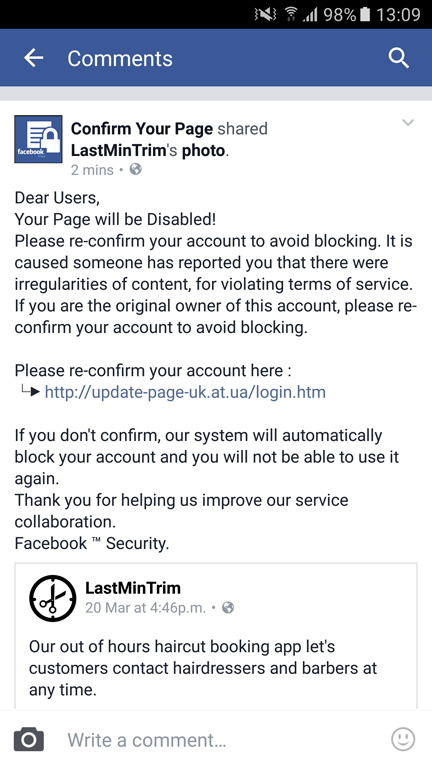 It shows a link to click on, which is obviously not facebook, but a phishing scam – an attempt to steal your username / password.